For young growers looking to get a leg up in the specialty crop market, leadership programs are an important step in broadening connections and increasing your involvement in the industry. In fact, that’s exactly what Mark Boyer, current U.S. Apple Association (USApple) chairman says of his time as one of USApple’s Young Apple Leaders. “Young Apple Leaders got me in the door,” says Boyer, of Ridgetop Orchards LLC in Fishertown, PA, who soon after completing his time as a Young Apple Leader joined the USApple board, and then eventually became chairman. It was a similar situation for Tom Mitchell of Riverfront Packing Co. in Vero Beach, FL. 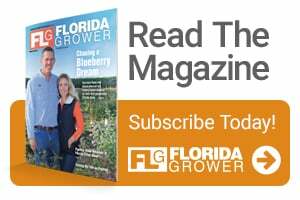 He says being a part of Florida Fruit and Vegetable Association’s (FFVA) Emerging Leader Development Program not only helped him become more involved in the citrus industry, but also with other agricultural organizations. “Regardless of the commodity, we share similar challenges that can be better addressed collectively versus individually,” he says. Leadership programs like the Almond Board of California’s (ABC) Almond Leadership Program, USApple’s Young Apple Leaders, United Fresh Produce Association’s (United Fresh) Produce Industry Leadership Program, and FFVA’s Emerging Leader program all help young growers carve a path in the industry. 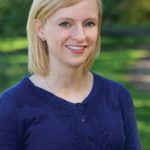 For some programs like the Young Apple Leaders, you’ll also learn about regulatory and legislative issues, says Board Member Elizabeth Wittenbach of Lansing, MI-based Wittenbach Orchards. You’ll also see your industry from a completely new perspective, while also gaining insight into the inner workings of other industries, Mitchell says. For Chris Gallo, Regional Sales Manager for Yara North America, Inc., in Stockton, CA, the Almond Leadership Program gave him a chance to see the entire almond industry. “The variety of topics covered broadened my understanding and gave me several tools to take into my professional and personal life, like an understanding of world markets, pricing and marketing, and being able to answer tough questions raised by uninformed critics of the industry,” he says. For Mike Curry of Johnson Farms in Denair, CA, the Almond Leadership Program helped broaden his knowledge of agriculture as he transitioned from meat to almonds. “This knowledge has served as a solid foundation to build upon, as I continue to navigate through the business challenges we are faced with,” Curry says. For North Dakota-based Black Gold Farms, the opportunity to be a part of United Fresh’s Produce Industry Leadership Program helped broaden Leah Halverson’s exposure beyond the potato industry and connect with a wide variety of folks, but it also helped boost the farm’s presence. One thing everyone stresses is how vital it is for you to get involved in your respective commodity, whether that’s through a leadership program or just in promotion of your industry. “Stay engaged in the industry and share your story; it is too critical not to,” Curry says. Wittenbach agrees, citing a need to understand the political side of agriculture and its impacts on your orchard. Wittenbach also suggests finding a mentor who is someone you’d want to emulate — with similar passions or goals, “look for someone who will push you,” she says. Halverson agrees, encouraging you to apply to a leadership program saying “get out of your comfort zone (or commodity zone) and really see what’s all out there.